Writing an e-book is a really a biggest achievement for any writer. If you deserve to write an e-book then you can make use of this article which gives you step by step guide about e-publishing. E-book is an electronic form of book that gets converted from a manuscript form to an attractive e-book that is easy and portable for readers. After you finish writing your complete e-book, it is very necessary to market it since without which no one knows that such a kind of book exists. Thus, marketing serves a very important place in e-publishing and you can even make use of the marketing services of the biggest online sellers like Amazon, Apple, etc. And why do we go for e-publishing? It is Portable which means can be easily viewed through your Phones, Tablets, Laptops, etc. Now, let’s see the step by step guide about e-publishing. This is really a very initial step for any e-publisher. Actually, it can be a difficult thing to start since only choosing a best topic will make your e-books go well in the online stores. Some may have short stories to compile on, while other may have the entire single novel in a drawer. Similarly, some may have tons of informative blogs to turn it into an effective E-book. Thus, first choose your idea of development. Then, sit and complete your work to form a complete e-book. Make a note that, a typical non-fiction book has 50,000 to 60,000 words whereas a typical novel has around 80,000 to 100,000 words. Make sure that your e-book also contains minimum of considerable number of words. Edit your book and fine tune it with the help of experienced writers. There are two types of edition to be done in your work. First one is a substantive edition where the editor checks the big idea, flows, holes, etc., The second one is a line or copy edit where the editor checks for the grammar and usage problems. An e-book format must offer a good reading experience to its readers. It must be supported by both the publishers, hardware vendors, and be guaranteed to work for the foreseeable future. 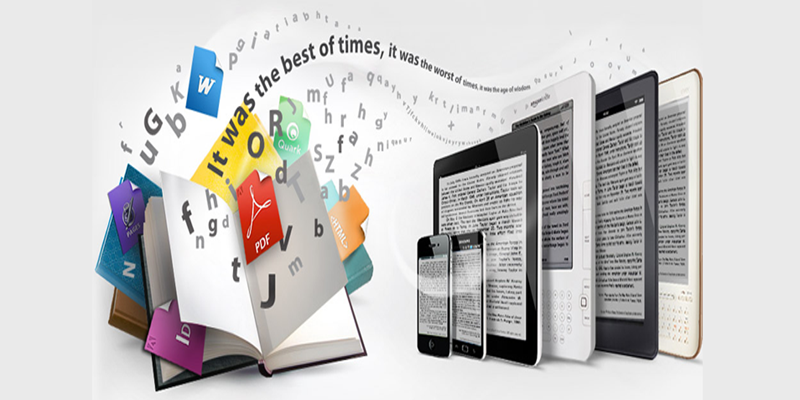 Though there are many formats available, the best one is ePub which can be handled easily by our readers. Following that Adobe PDF is also an important format for e-publishing. To know more about the formats you can visit the following site which will be quite useful to you. Although it is not much necessary to buy ISBN for your title, it is always a good idea. ISBN stands for International Standard Book Number which is a unique number assigned to a book title by its publisher for tracking and ordering purposes. Pay a designer to create amazing front and back cover for your book. For example, if you are going to upload it to the Amazon, then sign up an account with CreateSpace Digital Text Platform of Amazon.com. Now, you can upload files to this which will be really simple and easy by just giving your name, title, description, etc. Create the biography in the site you choose. Identify yourself as author and verify your publishing rights. You can select the options similar to” This is not a public domain and I hold the necessary publishing rights”. Remember, if you are publishing any of your own old books make sure that you have all rights reverted back to you before publishing the book. It means you must be having all the necessary physical documents from the publisher granting you all rights. Follow the instructions of the site. Fill up all the necessary information like ISBN, keywords, price and choose the appropriate category for your e-book. After you have finished all these details, wait for about 24 hours for the book to go live. Thus, start writing. Start publishing. With the help of these step by step guide start to publish your E-books easily. Thank you for making me understand the concept of e-publishing. You have nicely put the information which is quite helpful. I will decide If I need to go for e-publishing or not. but still your information is really helpful. keep sharing more. The real importance of e-publishing was known now. Thanks for providing the online services where we can e-publish our documents. I never found such an unique content before. These days, all data are transfer one to another person by help of digital forms, this is a best resources, if anyone want to share his documents and any files which have any text data the we can use e-publishing document..
I’m kind of new to this e publishing thing or I just came to know about it. Seems like Ill try it now. Awesome step by step article, E-publishing is really great idea to build credibility in writing stuff. Thanks for sharing details information about e-publishing. This will help me lot for my upcoming ebook.